The Lewis and Clark Council featured the “Pie-in-the-face” demonstration from the September Pack meeting on their Facebook page. This was a fun end to a meeting about the start of popcorn sales. 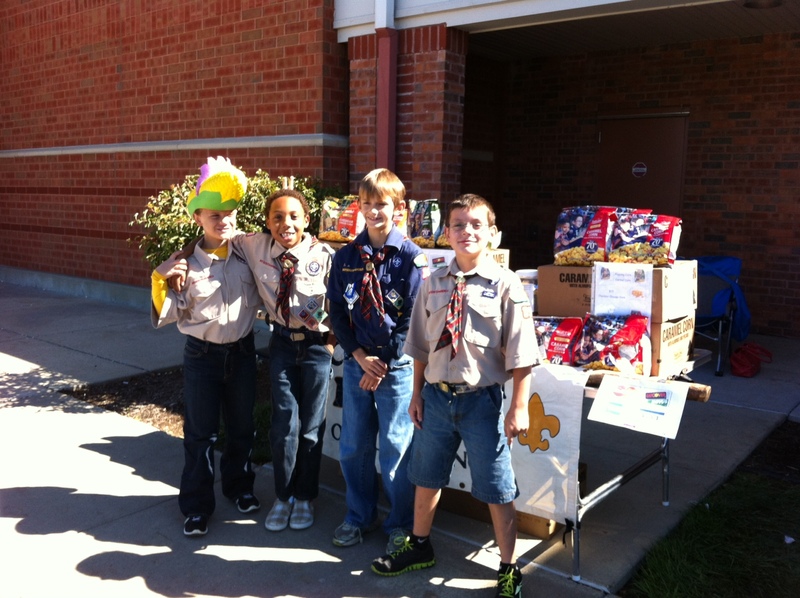 Pack 35 is doing very well with their sales so far and hope to continue that success. 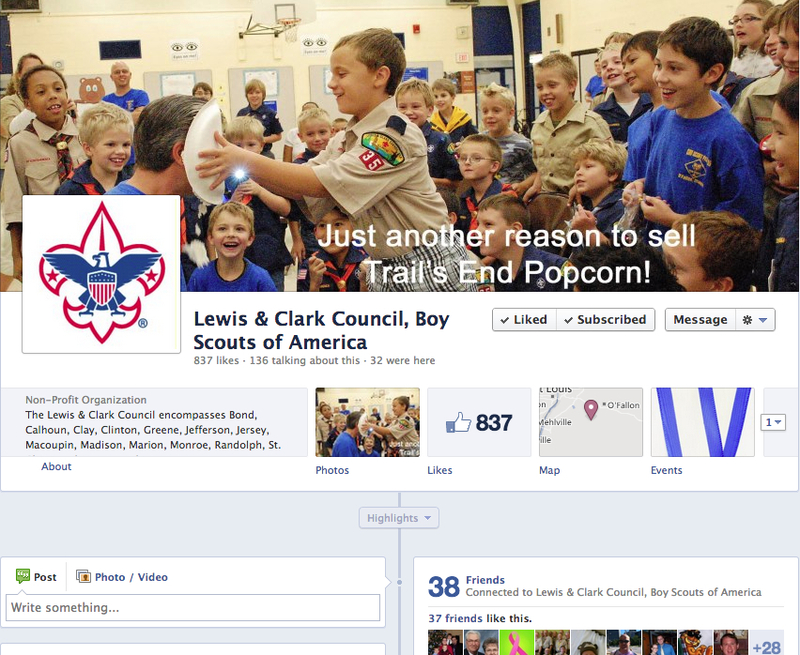 That’s right, it’s time again for Cub Scout Popcorn. Pack 35 has all kinds of great things planned and awesome prizes to be revealed at the next Pack meeting, but take a look at what the top sellers got to do last year. Every leader got a pie in the face and one got twelve pies! How fun is that? 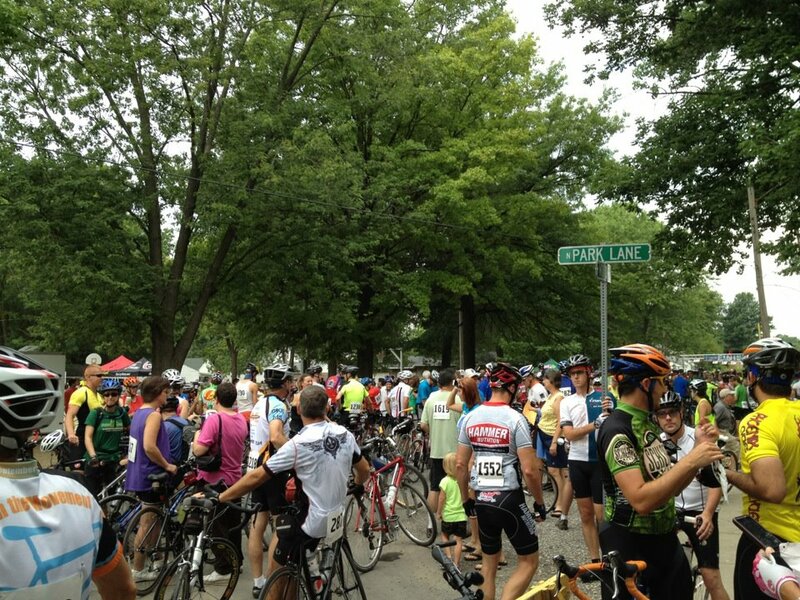 At the first donut stop. What a race! 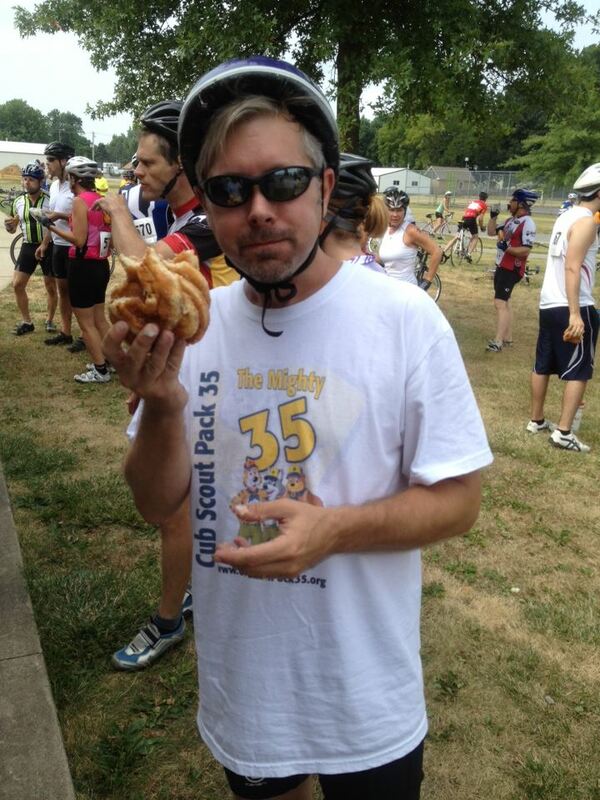 Mr. Smith trekked the 34 miles on the Tour de Donut and had a great time. The weather was great and there were no injuries. The best part…he choked down a total of 10 donuts at the two donut stops. Now that is a ball of dough! Speaking of dough, through this fundraiser the Pack took in almost $600! That is awesome and the money will go to help pay for Pack activities. Not bad for a first race.